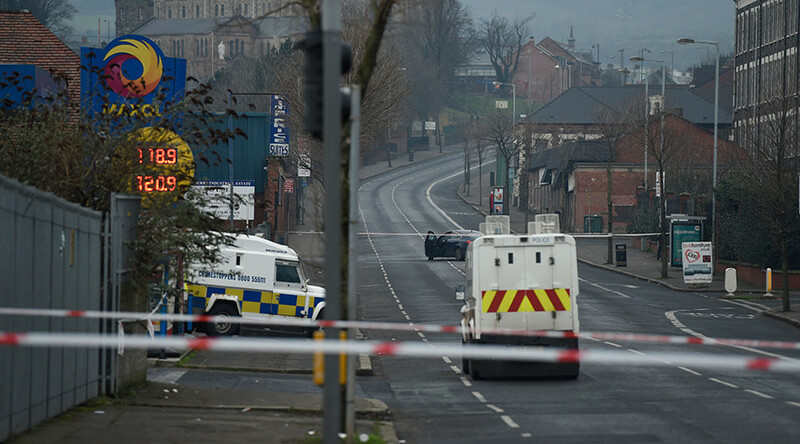 Police in Northern Ireland say they suspect dissident Republicans are responsible for the shooting of an officer in Belfast on Sunday night. One man has been arrested in connection with the incident in which bullets were fired at a gas station. “Our main line of enquiry at the minute is violent dissident republicans. One arrest has already been made,” Police Service of Northern Ireland (PSNI) Assistant Chief Constable Mark Hamilton told the Irish Times. The gunman fired at the officer from a passing car on Sunday. The officer, who was outside a gas station at the time, was taken to hospital and has undergone surgery. Officials believe the attack was planned. Brave officers attempting to #keepingpeoplesafe in Nth Belfast attacked by faceless people with gunfire. Thoughts with injured officer. "The officer has at least two gunshot wounds on his arm. He was wearing ballistic body armour which may have helped,” PSNI Chief Constable George Hamilton told the BBC. Mark Lindsay, chairman of the Police Federation for Northern Ireland described the attackers as terrorists with a “warped and outdated plan” causing grief to their victims’ families. Meanwhile, Gerry Kelly from political party Sinn Féin, which largely draws support from Republican and Nationalist communities, condemned the attack on Facebook, saying those involved have no support and should desist. The attack comes at a tense time in Northern Ireland politics after their power-sharing government collapsed following the resignation of deputy First Minister and Sinn Féin politician Martin McGuinness. He quit when First Minister and DUP Leader Arlene Foster refused to step aside while an investigation was carried out into a scheme she set up during her time as minister for enterprise, trade and investment. The Renewable Heat Incentive did not cap subsidies offered to companies who used environmentally friendly heating methods, ending up costing taxpayers approximately £490 million ($591 million). Sinn Féin refused to nominate a replacement for McGuinness, forcing the assembly to be dissolved on January 26 in order for an election to take place on March 2. On Saturday Sinn Féin Leader Gerry Adams warned that the impending Brexit could have a disastrous affect on peace in Northern Ireland. Speaking at a conference in Dublin he said Brexit could lead to the return of a “hard border” between Northern Ireland and the Republic of Ireland, doing damage to the peace brought about by the Good Friday agreement.